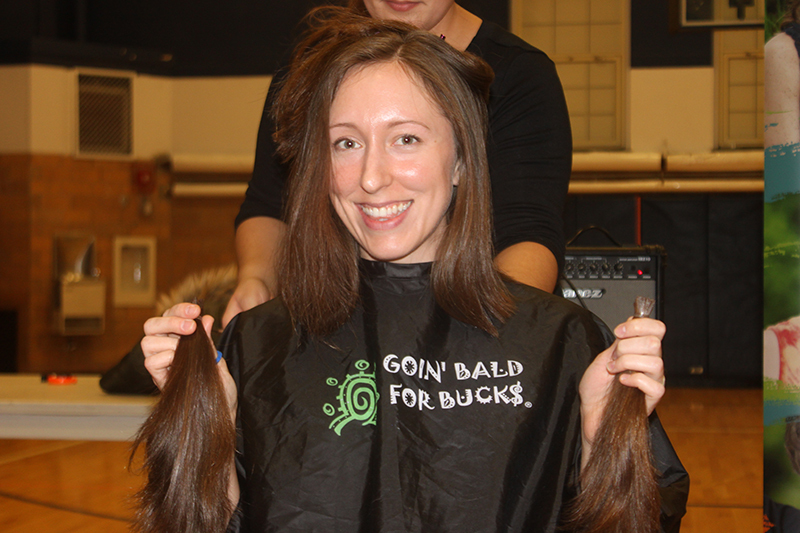 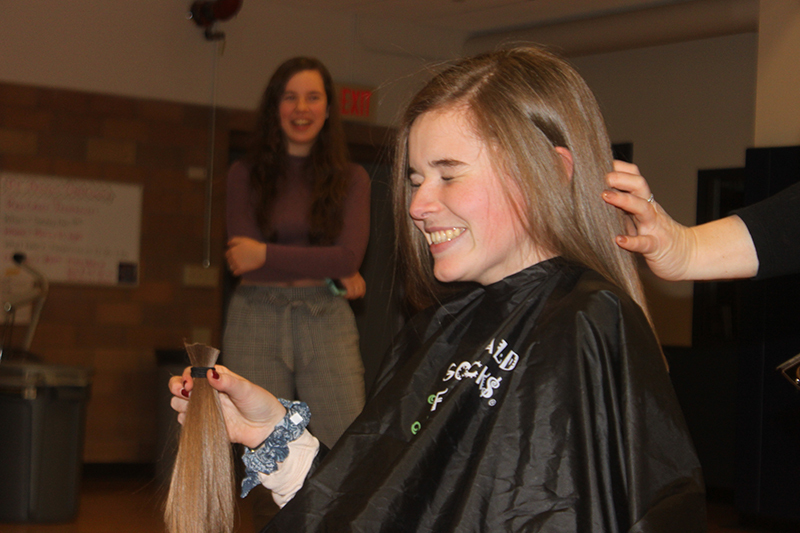 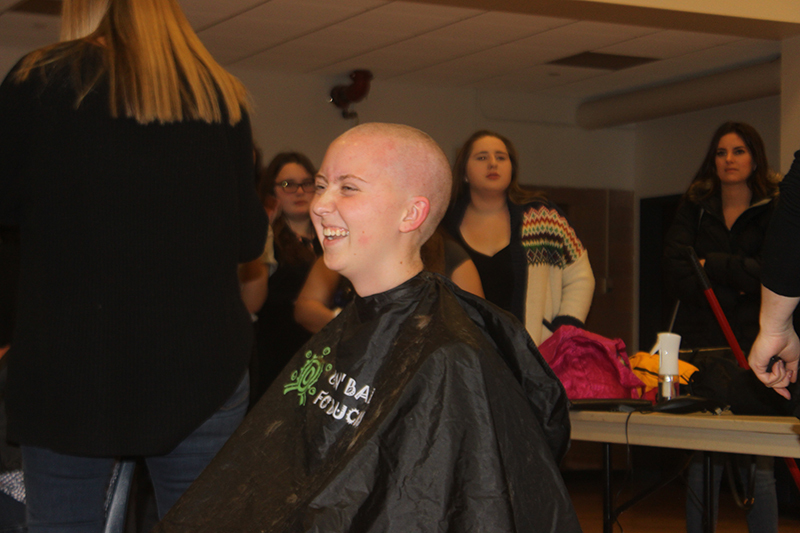 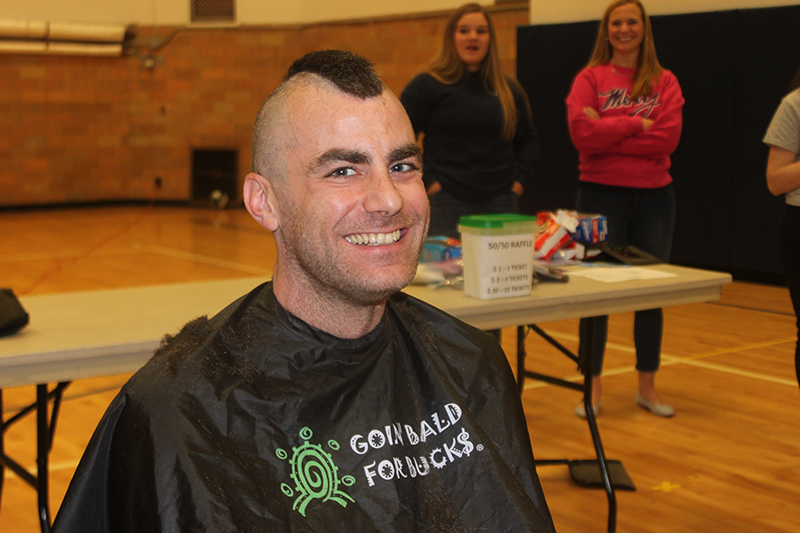 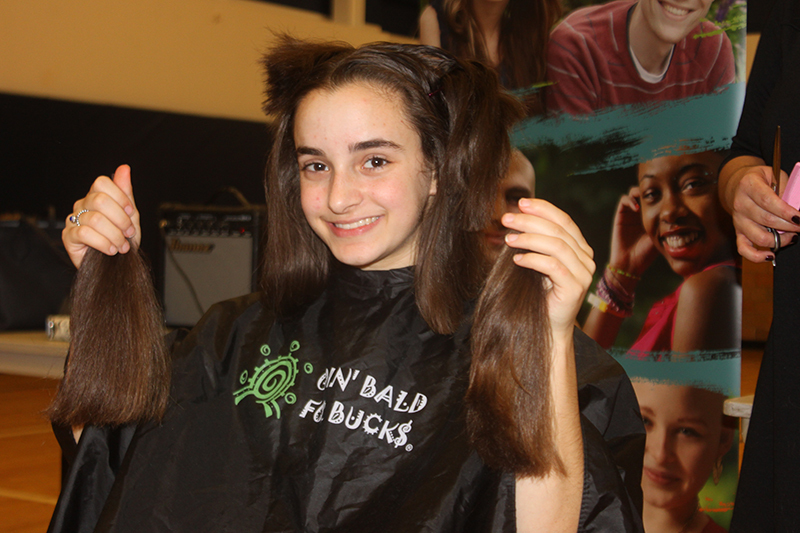 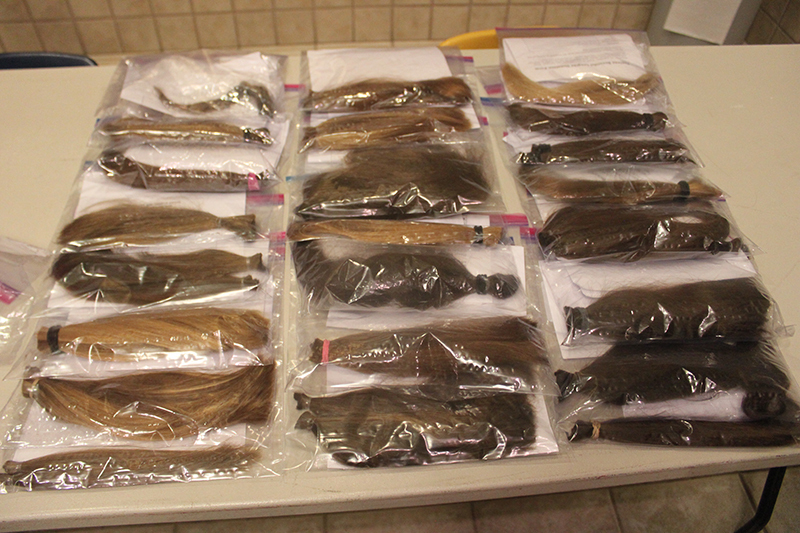 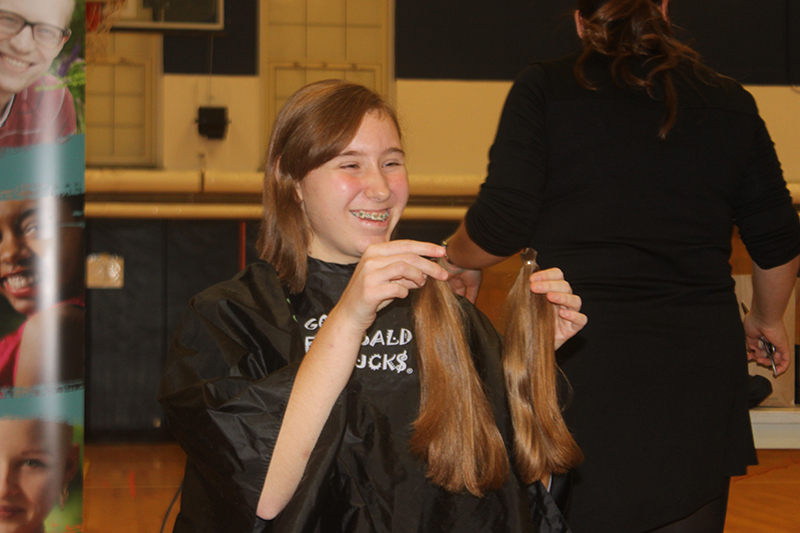 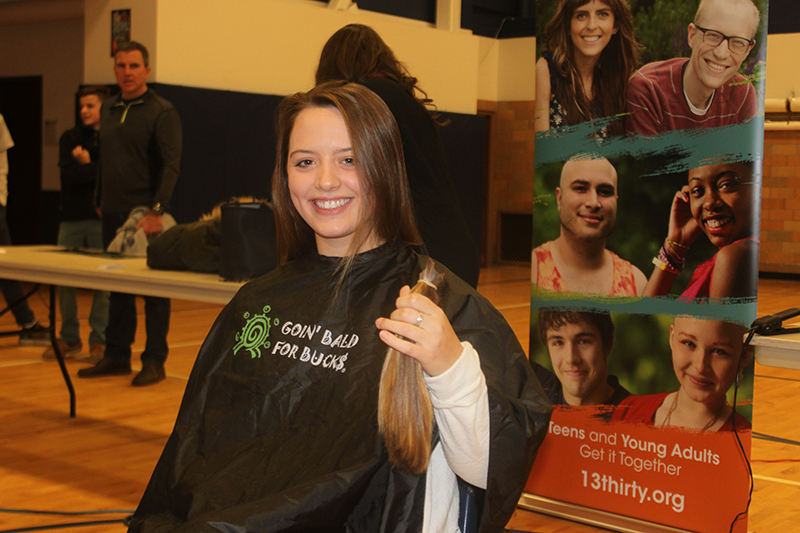 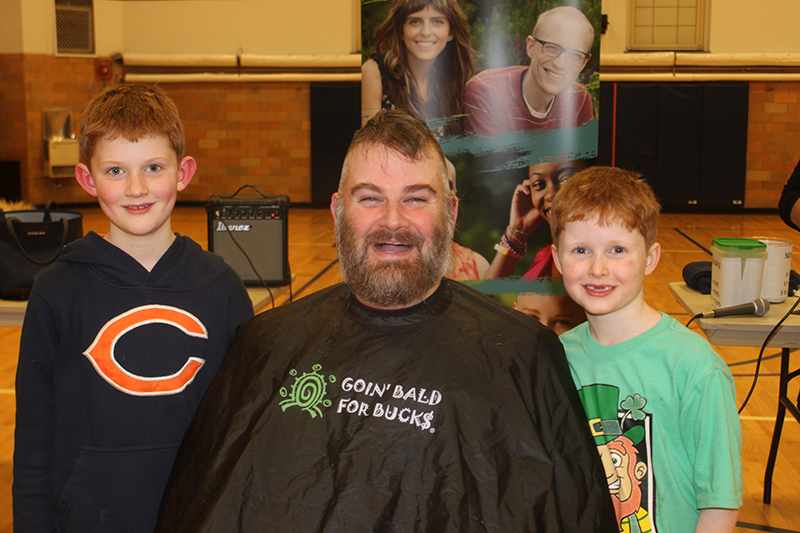 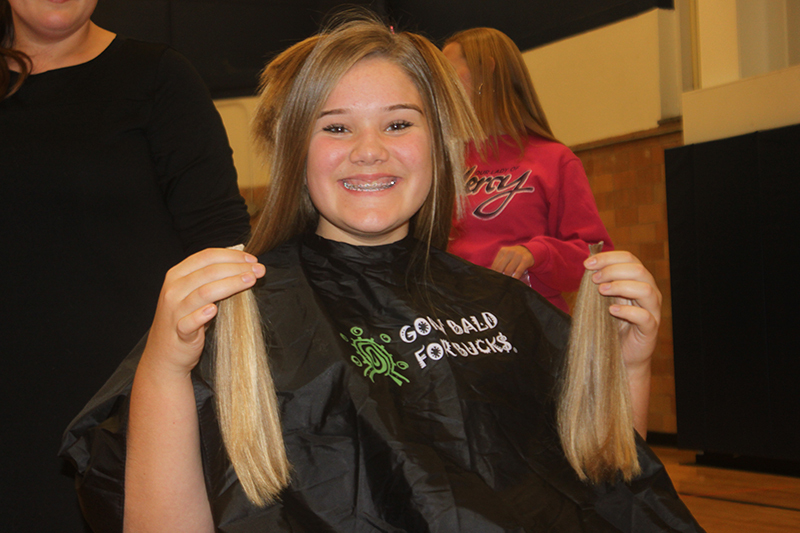 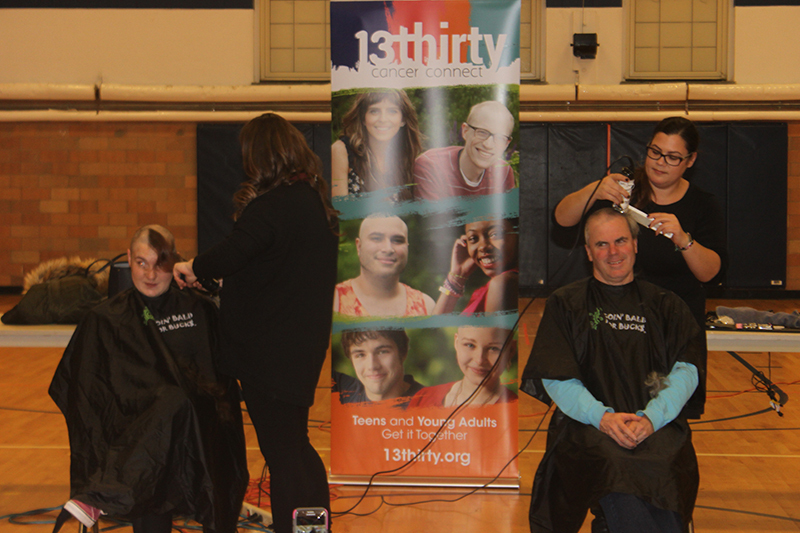 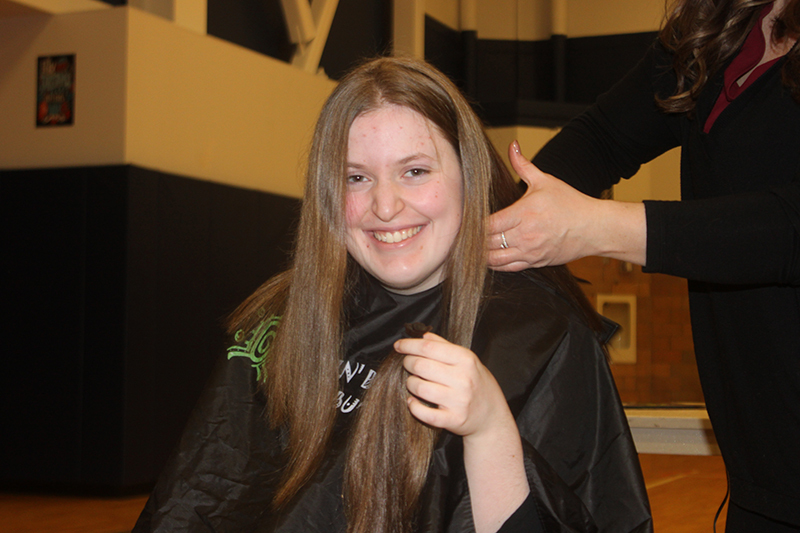 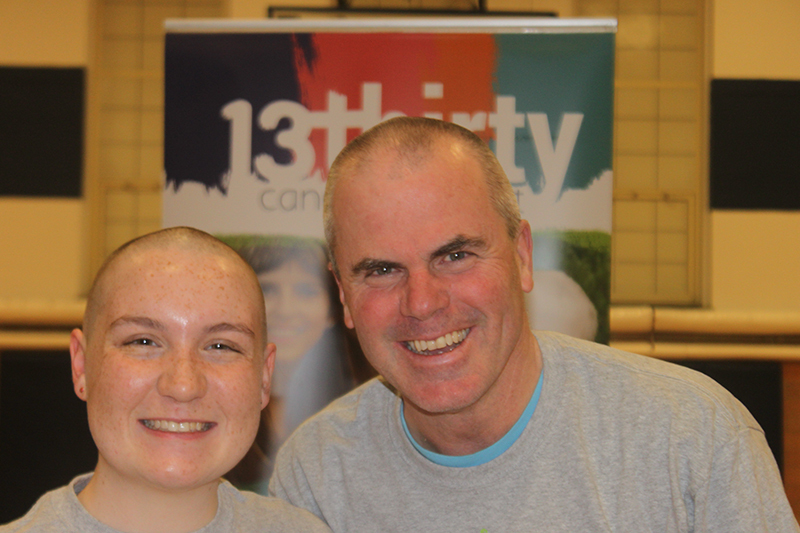 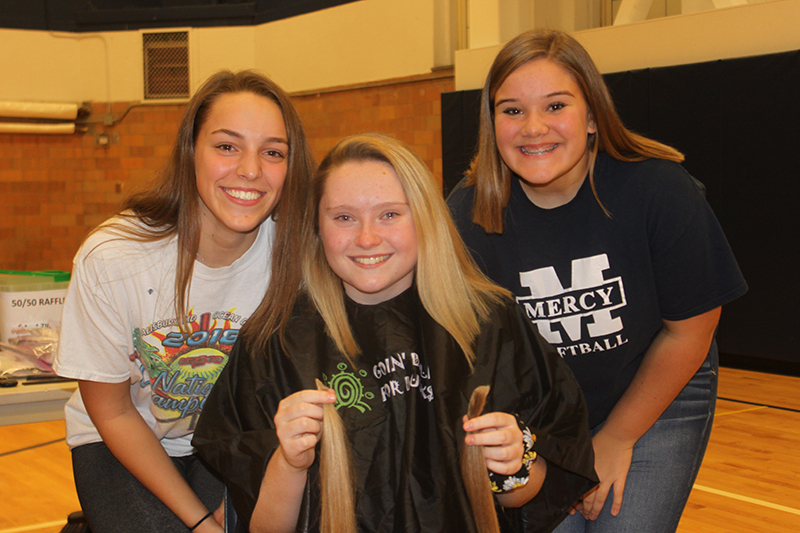 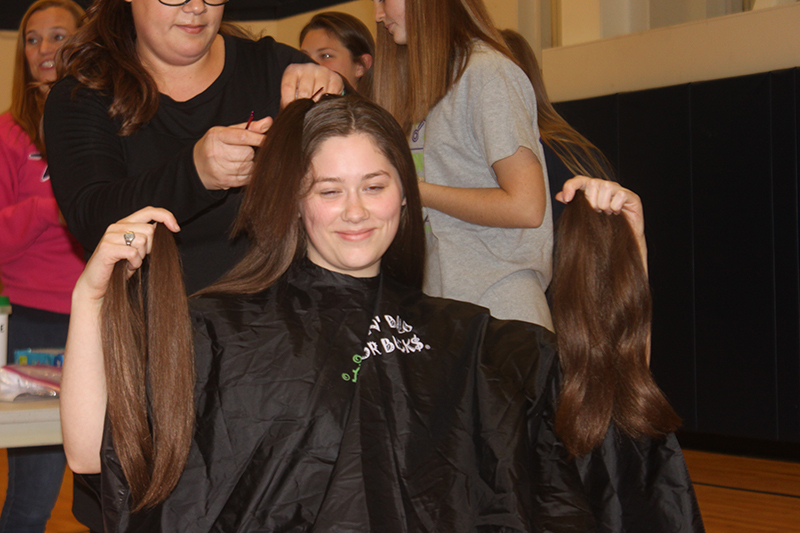 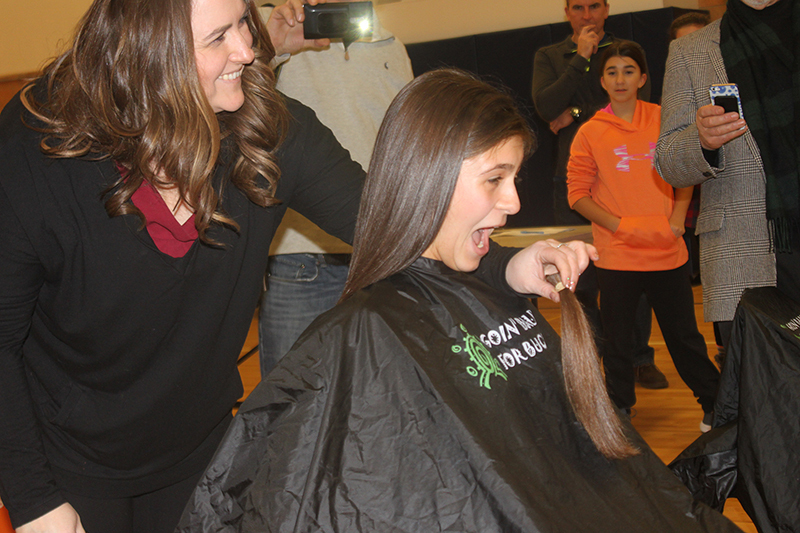 On December 1st, Mercy girls, McQuaid boys, and teachers from both schools snipped and clipped their way to cancer cures by Goin’ Bald for Bucks! 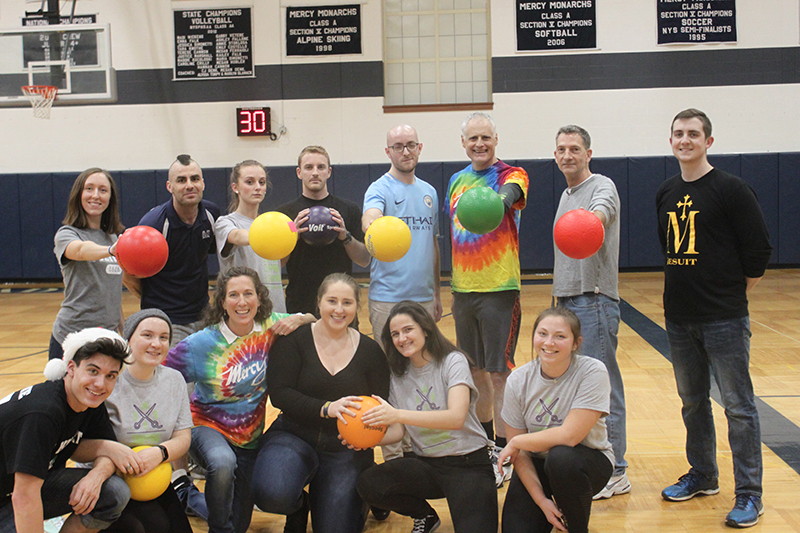 The money raised will support adolescent and young adult programs at 13thirty Cancer Connect as well as cutting-edge cancer research and patient-care programs at Roswell Park Comprehensive Cancer Center. 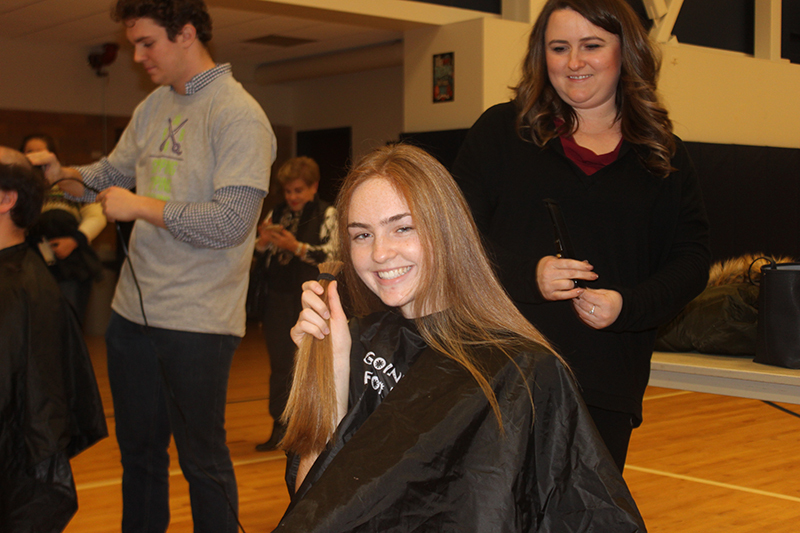 So many helped with this wonderful event especially MaryKathryn Dappen who acted as the project coordinator and kept everyone on track. 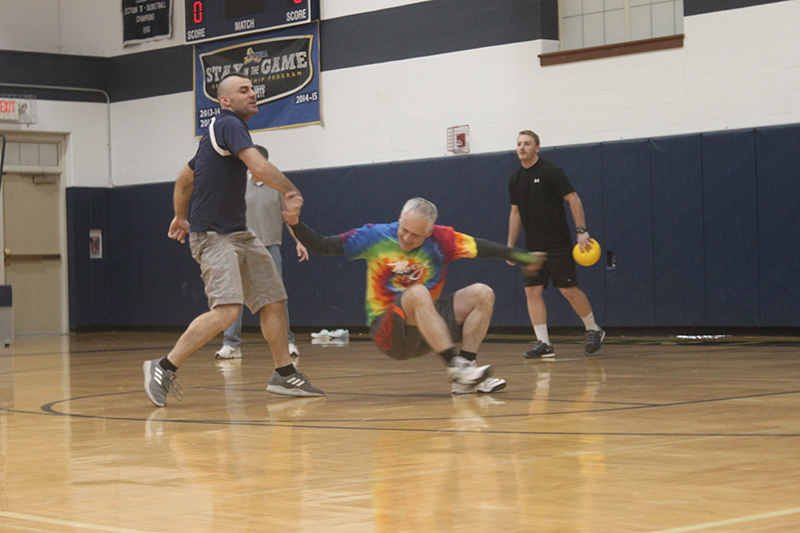 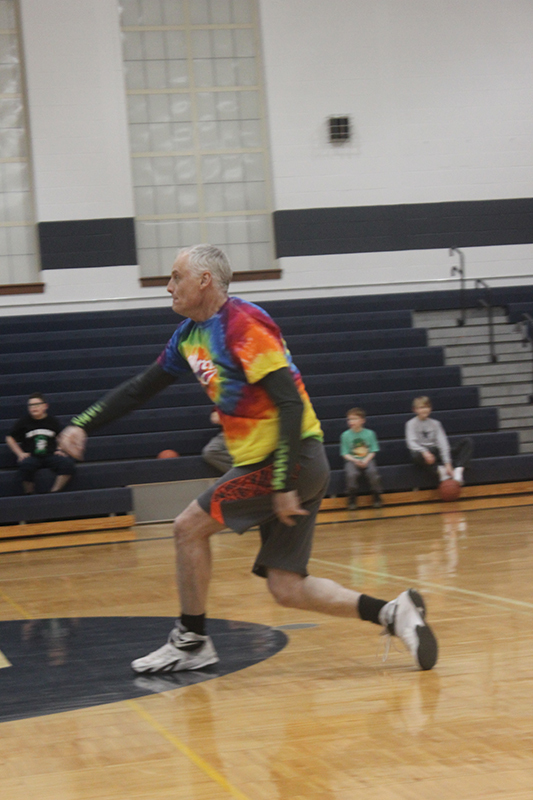 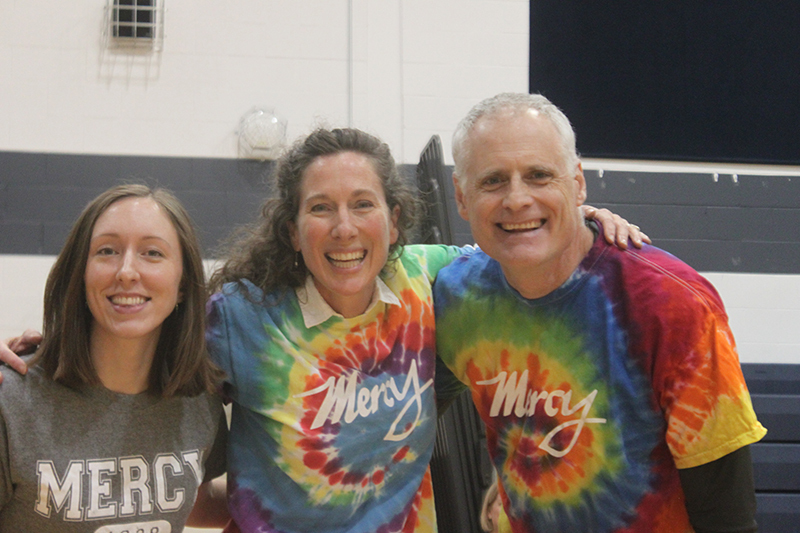 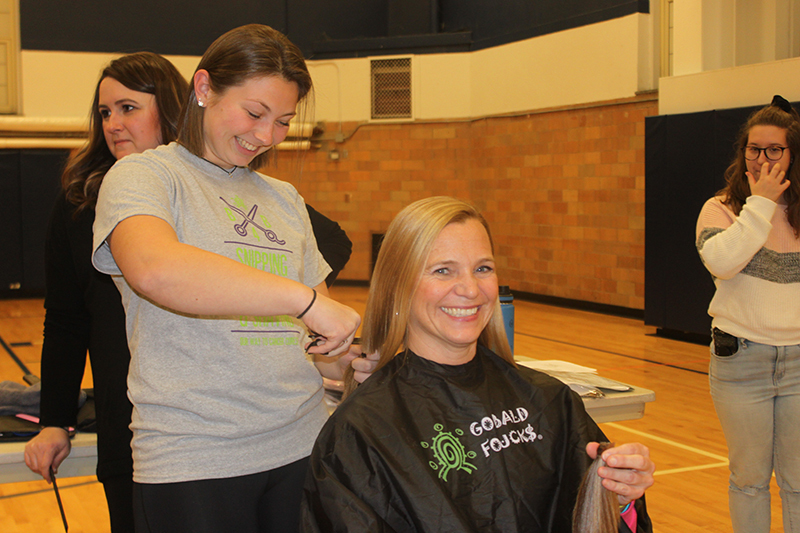 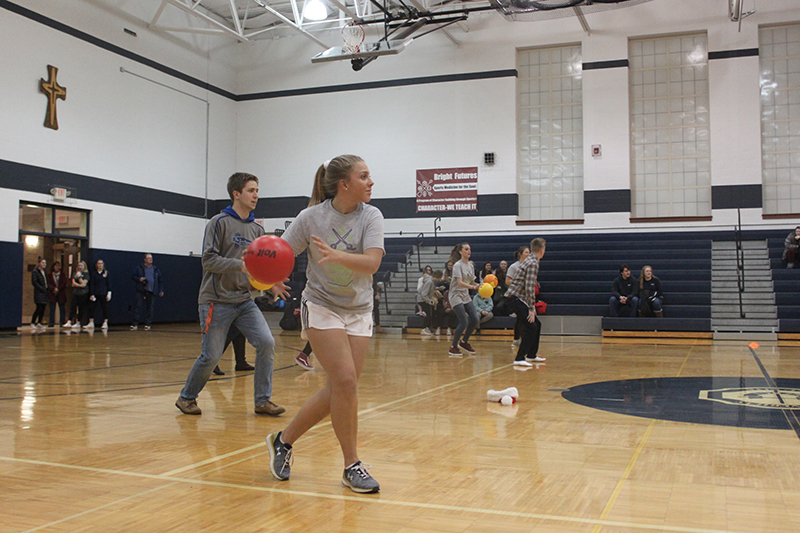 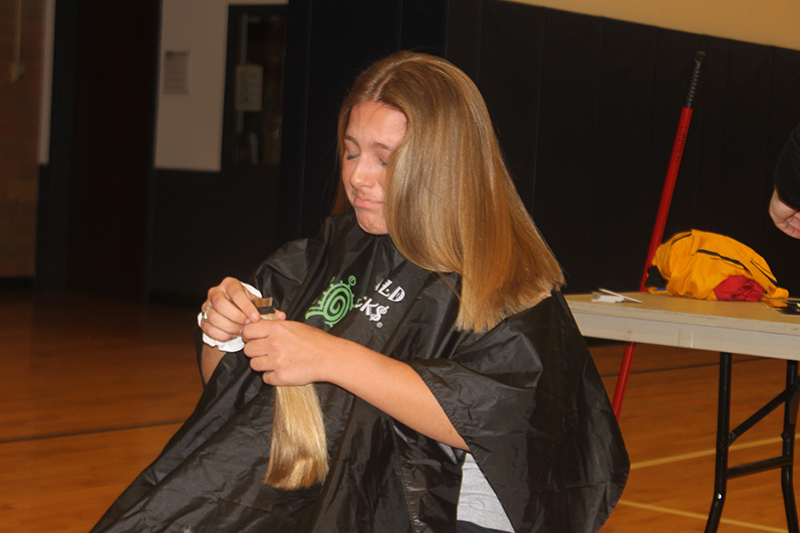 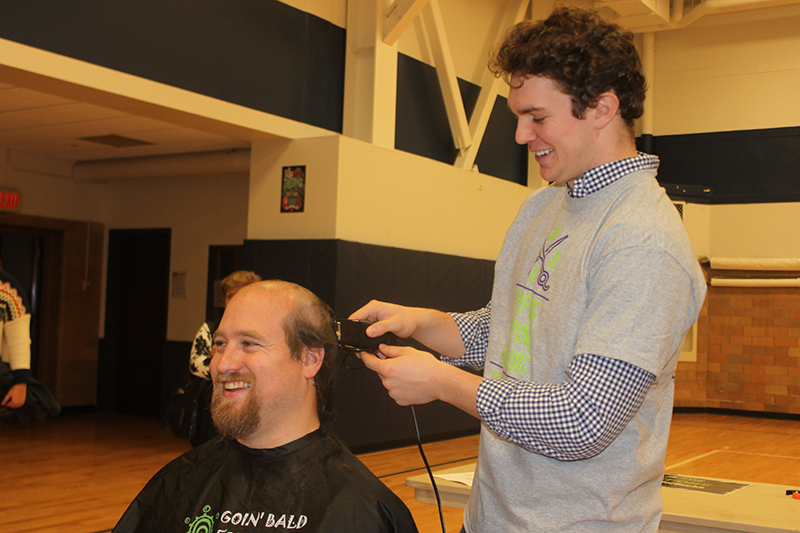 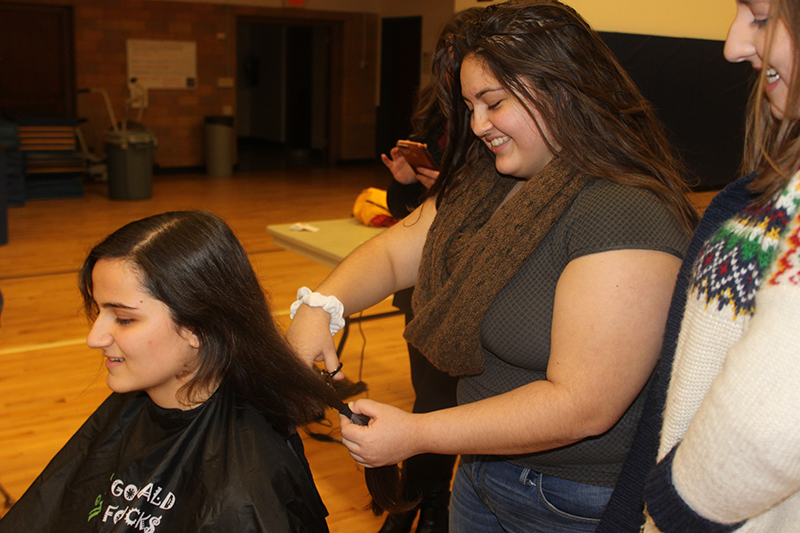 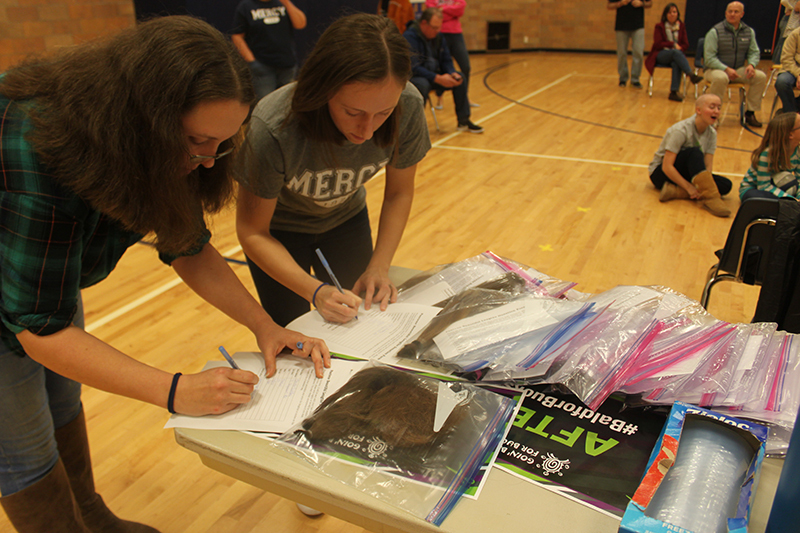 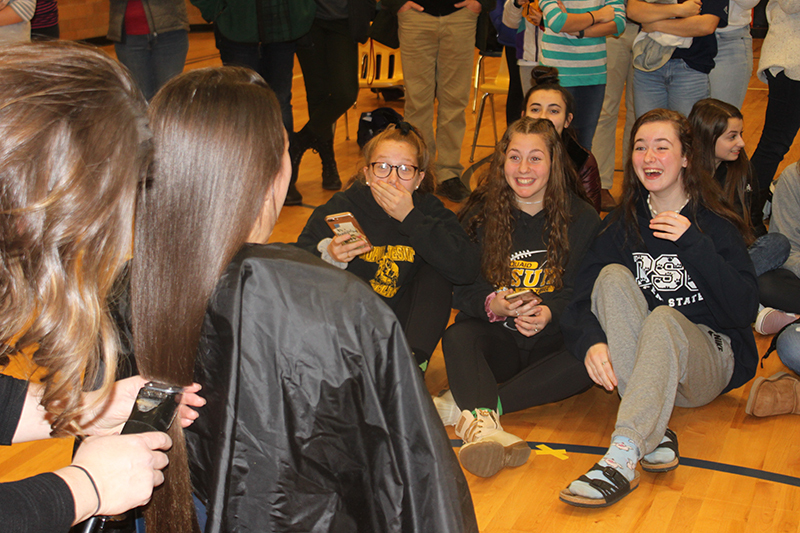 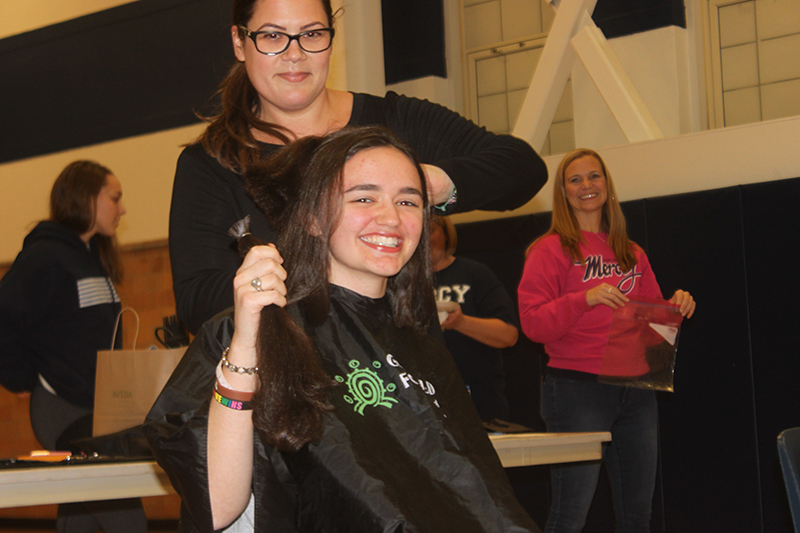 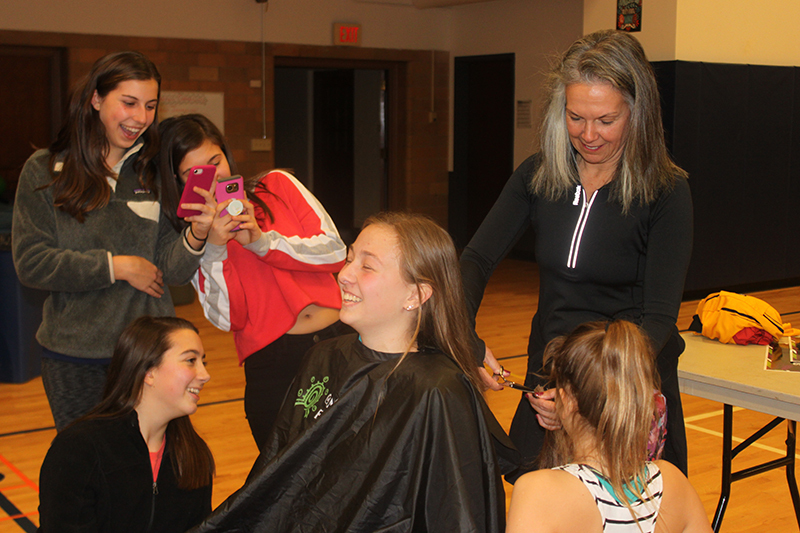 Students, faculty and parents procured stylists, managed the bake sale, organized a dodge-ball tournament, provided entertainment, refreshments and much more. 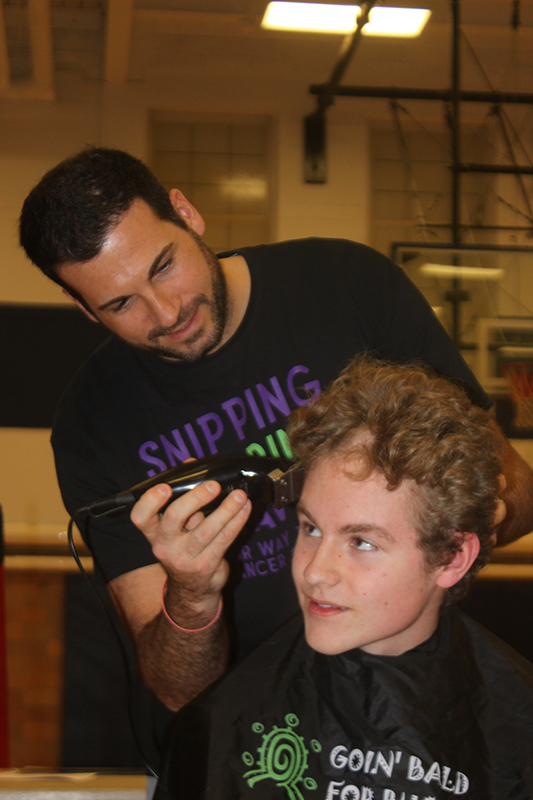 A lot of work also went into publicizing the event with school announcements, website updates, and promotions. 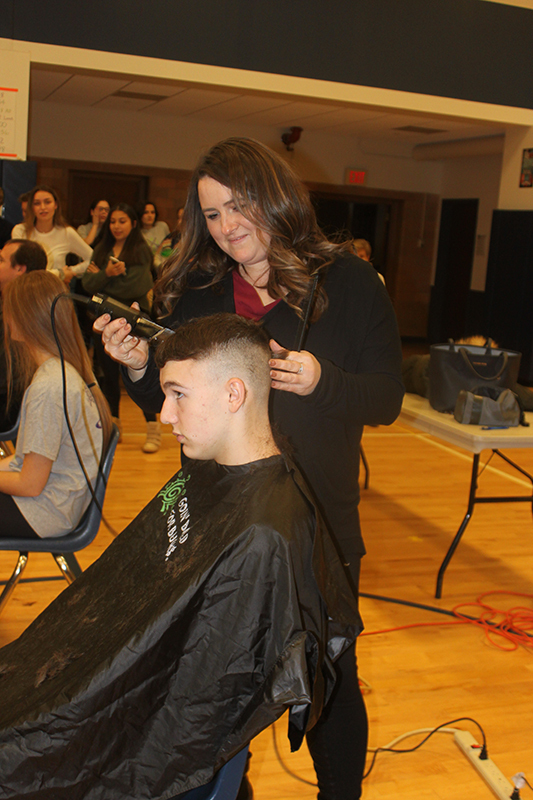 A big thank you to Mrs. Randazzese for being the EMCEE for the night!